Laserfiche Asks: You Ready for the Compliance Tsunami? Laserfiche Asks FPA Conference Attendees: Are You Ready for the Compliance Tsunami? 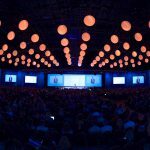 DENVER, CO (Laserfiche)—October 7, 2010—Next Monday, Laserfiche (booth #215) will host an educational breakfast session titled “Prepare for the Coming Compliance Tsunami” from 7:00-8:00 am at FPA’s annual conference in Denver, CO. The breakfast session, led by Senior Laserfiche Consultant Timothy Welsh, CFP®, will explore how content management technology can help financial advisors adapt to the sweeping changes outlined in the Dodd-Frank Act. Records management automation that lowers the cost of SEC and FINRA compliance. Powerful security features that protect confidential client information. Robust document management functionality that eliminates the need for paper files. 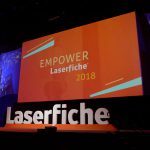 The Laserfiche ECM system gives financial advisors the ability to simplify regulatory compliance, improve profitability and limit exposure to civil and criminal liability. It allows advisors to prepare for audits more easily and help compliance with multiple state, SEC and FINRA regulations—all while accelerating business processes and making staff more efficient.